When the autumn leaves finish falling, clean your gutters! 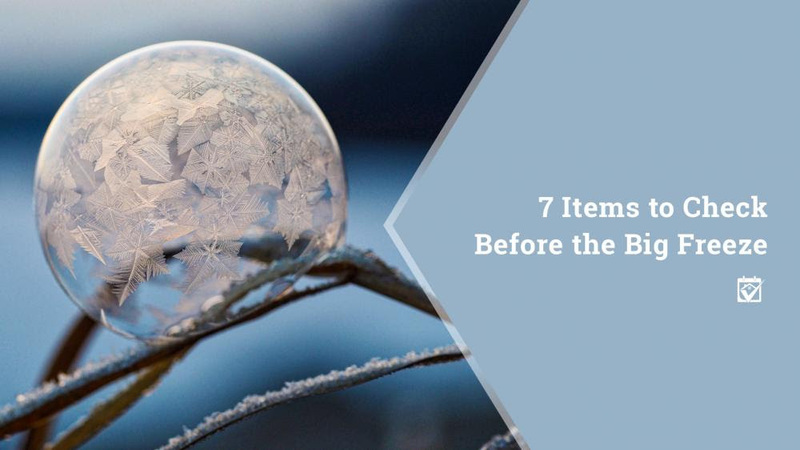 As really frigid weather settles in, you need to check them one last time. Gutters are one of the big causes of ice dams, which can cause water to back up into your attic. This is all bad stuff if it happens over and over, so to be safe, check those gutters again and clean out anything you missed or that has accumulated since your last round of cleaning. Homes with crawl spaces are especially susceptible to frozen pipes during the winter. First, make sure your foundation vents are closed to keep cold wind from blowing into the space, then get a little more hands on with the pipes. Anything on an outside wall should be wrapped with pipe insulation (the more popular types look like small diameter pool noodles), pipes with chronic freezing problems should have heat tape installed. Frozen pipes are no fun for you from a convenience angle, but when they go a bit further and burst, it’s kind of a big deal. It doesn’t matter if you’re not ready for winter, it’s coming anyway. So this weekend, get out there and prep your property for the cold, sharp winds, sheets of ice that seem to come out of nowhere and all the snow. Then again, you can also call a home pro or two in to help out with your winter laundry list — just contact us, and you’ll find chimney sweeps, plumbers, landscapers and plenty of other experts ready and willing to help!